Materials are available for preview in English or Spanish. 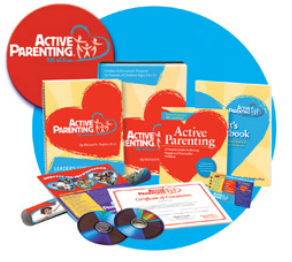 "Very helpful reinforcing positive strategies for parents and educators." "I loved the workshop. Nancy is fantastic. The presentation was great and she shared a lot of information." With a minimum of 12 participants, special arrangements can be made to bring this training to you. This will give more flexibility to customize to the needs of your group. Cost is regularly $207 per person. Arizona LTW Cancellation Policy: If the registrant is unable to attend, please try to find a replacement so the registration is used. If you cancel at least 14 days prior to the LTW, the entire fee will be refunded. Otherwise, a credit will be issued for future Active Parenting training to be used in Arizona within one year.